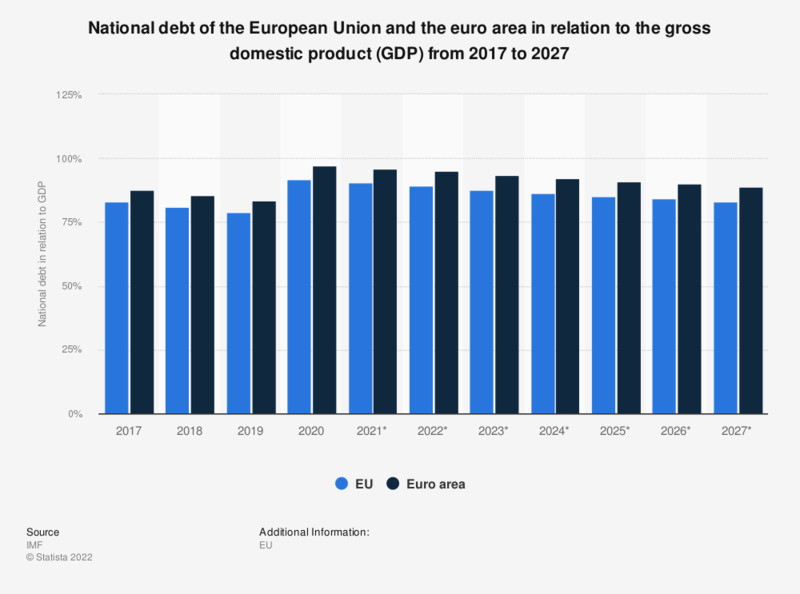 This statistic shows the national debt of the European Union and the euro area in relation to the gross domestic product (GDP) from 2012 to 2017, with projections up until 2022. In 2017, the national debt of the European Union amounted to approximately 83.2 percent of the gross domestic product. The figures refer to all current member states of the European Union, i.e. including those who were not members before. Everything On "European Union" in One Document: Edited and Divided into Handy Chapters. Including Detailed References. Should Poland change its currency from złoty (PLN) to euro (EUR) and join the Eurozone? In your opinion, is Hungary ready to introduce the euro?